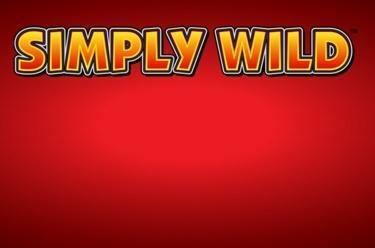 Play Simply Wild™ online for free now! Can you hear the coins jingling? 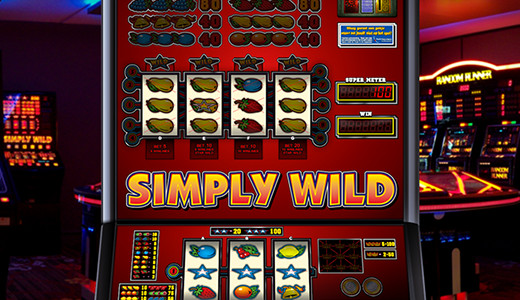 Our simple but fun fruity slot classic Simply Wild™ offers a one win line base game, a supermeter and a top game that never ceases to surprise! What’s there not to like? Few things are a more effective recipe for joy than the sound of jingling coins which flow into your account balance, after all! Your aim: you have to land at least 2 identical symbols in a row on the win line in the base game, or 3 identical symbols on one of the win lines in the top game, beginning on the leftmost reel! Simply Wild™ is played with coins. You determine the value of a coin within the game proper. You begin in the base game. As soon as you’ve won enough coins, you can proceed into the top game, where four different betting options await. You can fixate a maximum of 2 reels by clicking ‘Hold’. Combinations which may lead to winnings are automatically held. Another click on ‘Hold’ will free up a held reel once again. ‘Cancel’ frees up all held reels at once. A spin with held reels costs one stake amount. During the first game, after a win and when the reels have been fixated or after you’ve raised the stakes, the option to ‘Hold’ will not be offered.